We’re reviewing the presentations from the first half of the afternoon of TADSummit Day 1 in this weblog, the weblogs covering the morning sessions are available here (welcome and innovation showcase) and here (sponsor keynotes). The agenda is here. 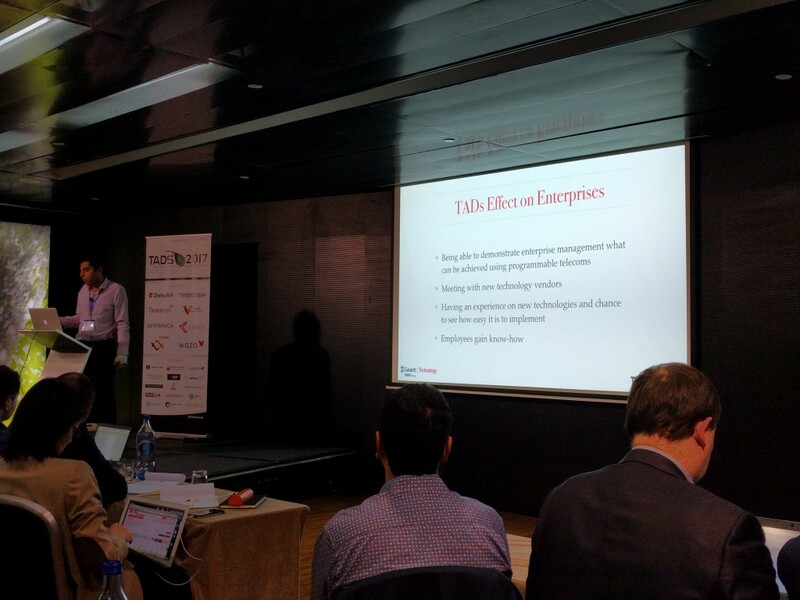 TADSummit is the telecom service innovation event, in its 5th year, it brings the programmable telecoms industry together to share insights, best practices, and help build an open global ecosystem. Where does IoT make sense? Cutting through the hype to real business and real solutions. Review of the IoT Landscape, understanding the enablers and ecosystem. Simfony’s IoT Platform: an M2M focused MVNO. Delivering solutions to business problems. The Future of IoT service providers.